Adjustable seat height 24" to 28"
The Alvin Olympian Comfort Drafting Chair offers maximum comfort and additional seat height with the inclusive height extension kit. It comes with an adjustable 21-inch diameter black foot ring and a durable steel extension tube that locks into the chair base. The pneumatic height control allows quick and easy height adjustment from 24 inches up to 28 inches. 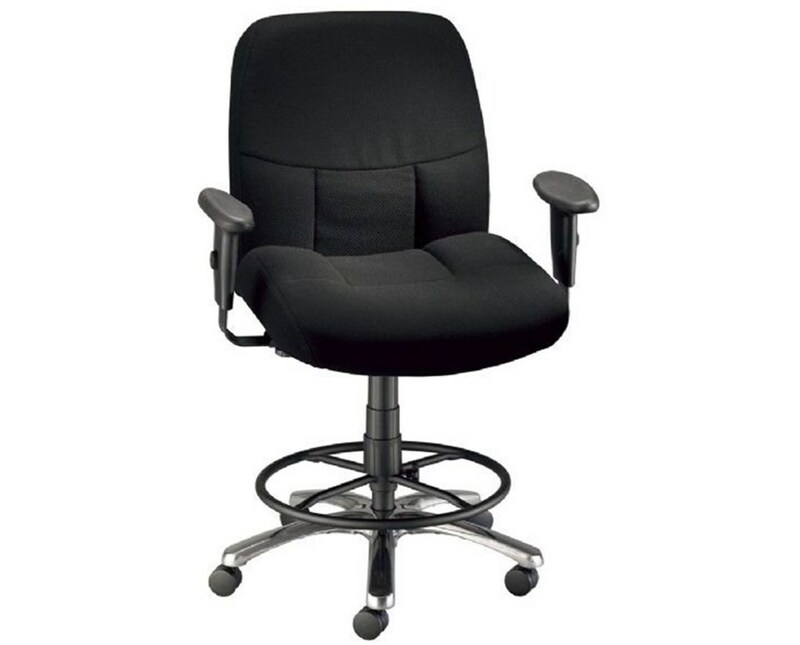 This drafting height task chair is designed for durability and heavy-duty performance. It is equipped with a 26-inch diameter polished aluminum base and a 21"W x 22"L backrest with 3 ½-inch thickness. Specifically made for taller and larger-sized people, it comes with a 22"W x 21"L ergonomically contoured molded foam seat with four-inch thick seat cushion. It features a waterfall edge to provide additional support and has black fabric upholstery for stylish and professional look. 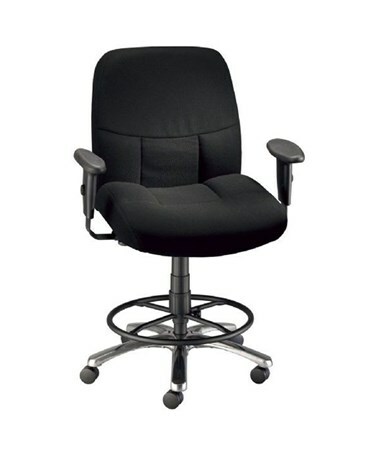 The Alvin Olympian Comfort Drafting Chair includes armrests that can adjust its height and width to achieve the most convenient and efficient positioning. With dual-wheel casters, it ensures total mobility while at work.